DAVID LE/Staff photo. 2/17/15. 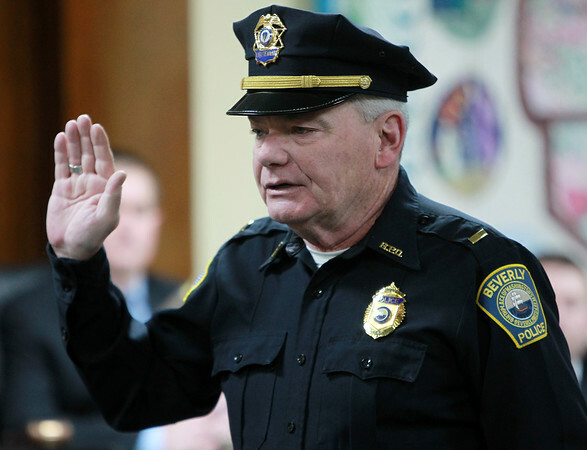 Beverly Police Lt. Philip McCarthy gets officially sworn into his new position after his promotion.